This is a one man passion project that began development back in February of 2018. Both episodes will be available to play on the workshop first before they're combined into one full game on Steam for free. 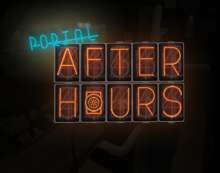 It will focus on a return to the simplicity of the first Portal game, as well as much harder puzzles that cater to long term portal fans first. New and improved testing elements will be present throughout the game, including, but not limited to, modified versions of existing community made fizzlers. There are multiple original characters, voice acting, and a cohesive story line that fits snugly into the existing Portal universe. It's set in-between the events of the first and second Portal games. The first half was released August 15th 2018, and the second half is planned for later in winter.